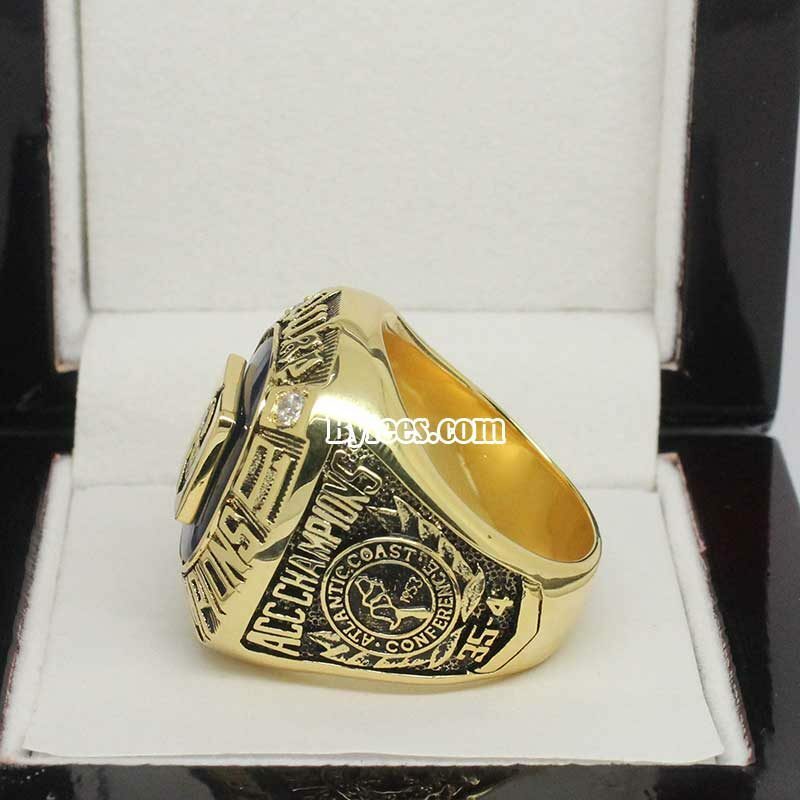 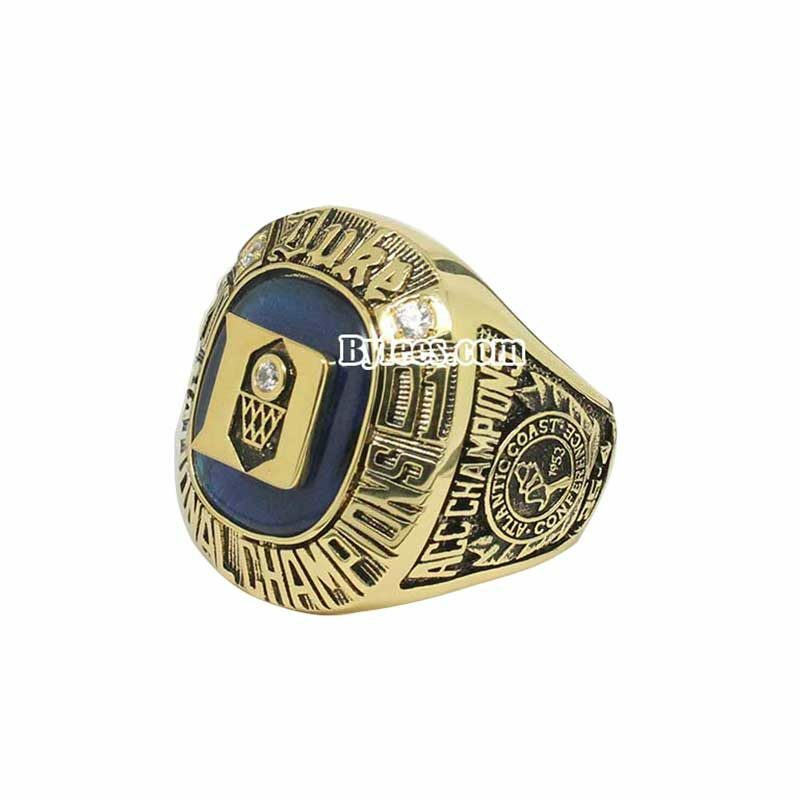 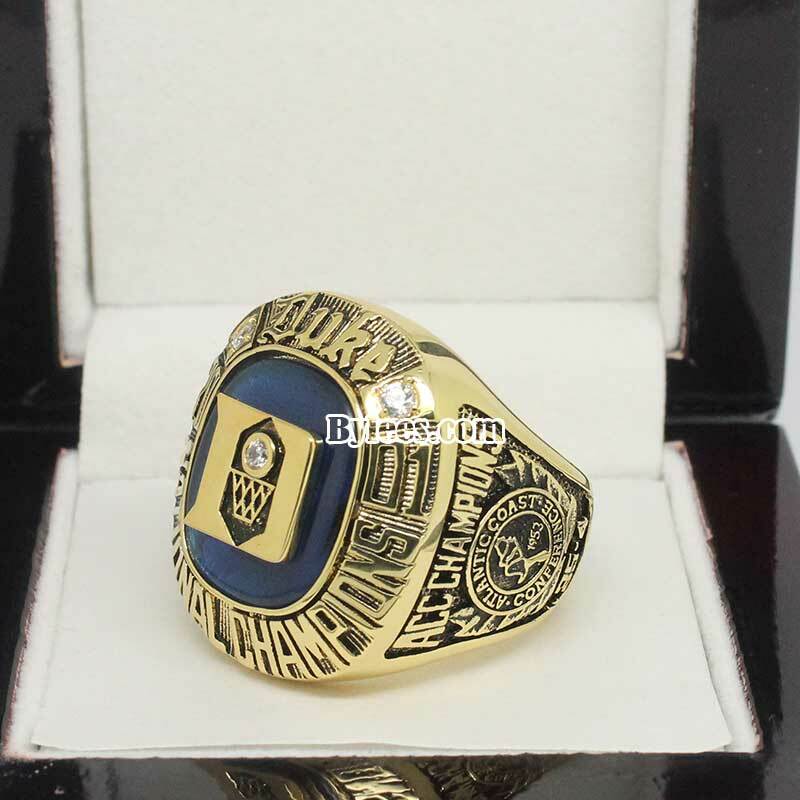 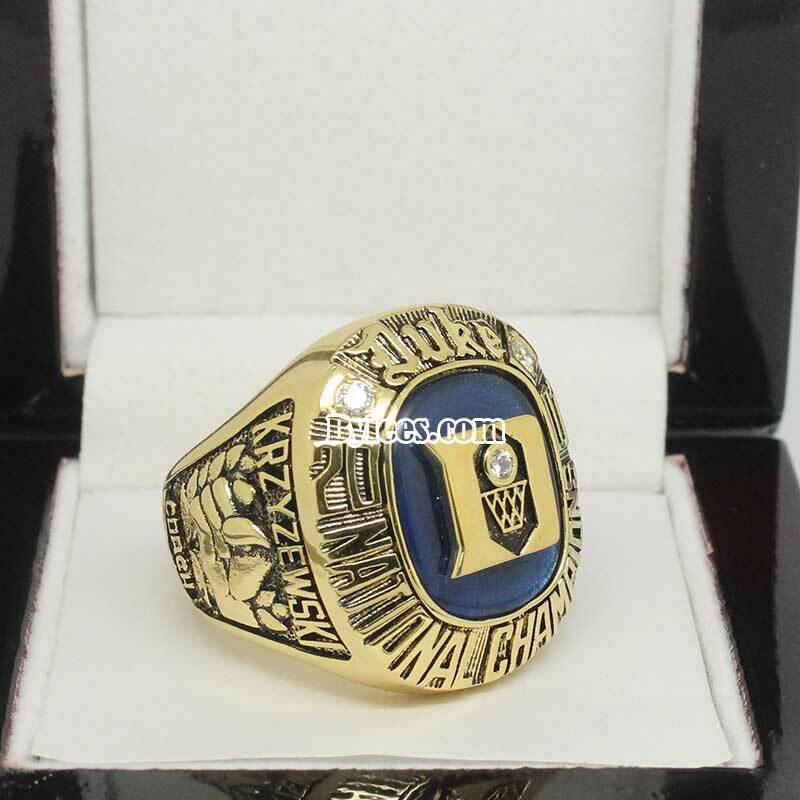 2001 Duke Blue Devils Basketball National Championsship Ring commemorated the 2001 NCAA Tournament National Champion as well as the ACC Tournament champions of the 2000-01 NCAA Division I men’s basketball season. 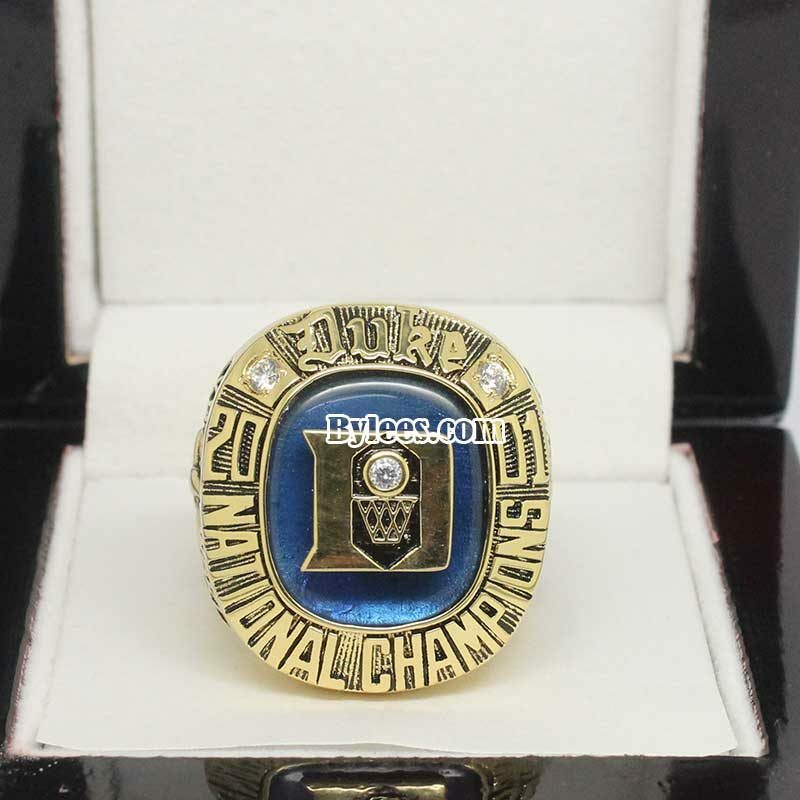 With the winning of the 2001 NCAA basketball national championship ring, the Duke got three Blue Devils basketball national championship rings overall. 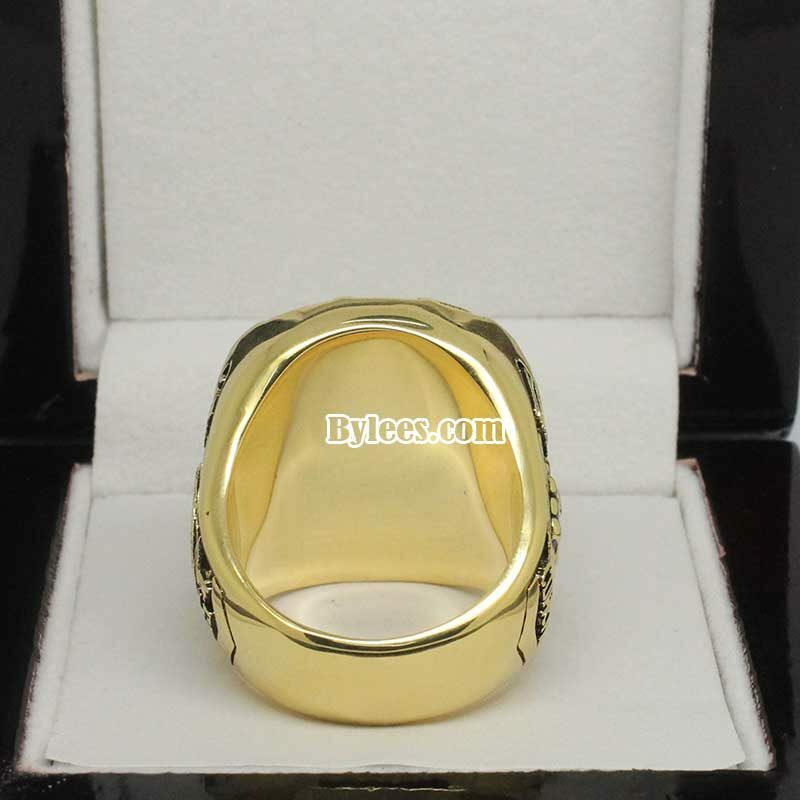 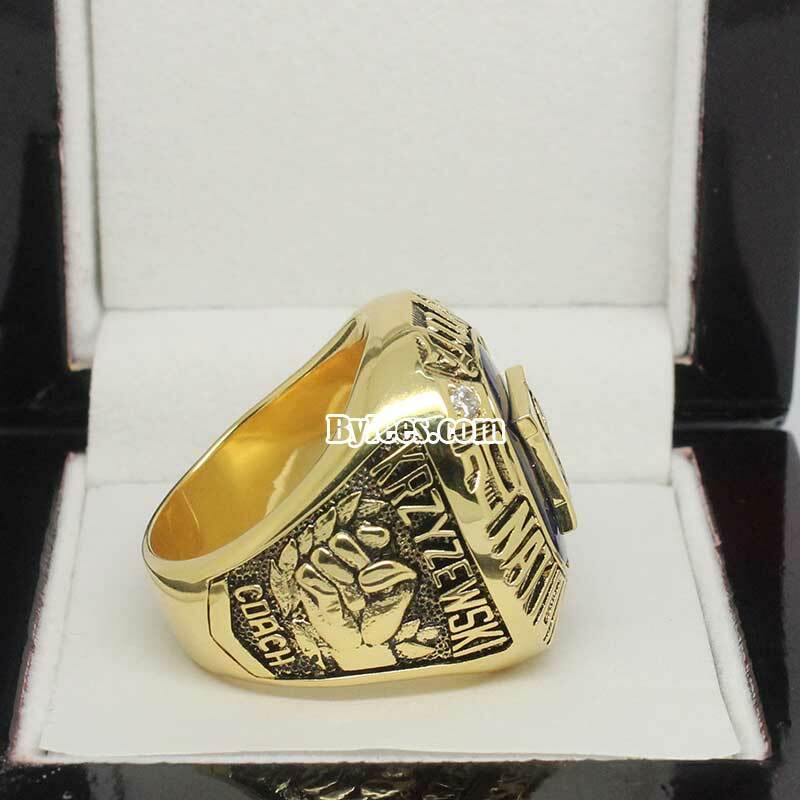 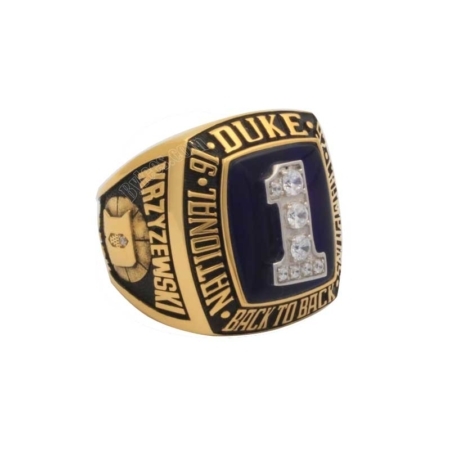 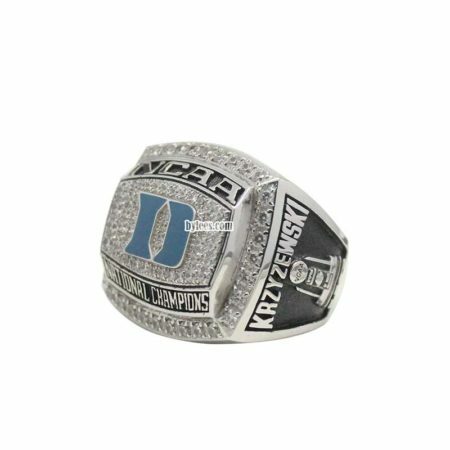 The version here again is high quality replica of Mike Krzyzewski 2001 Duke national championship ring, which is also widely regarded as one of the best Duke Blue Devils Championship rings, a big blue stone was mounted at the top with the Duke logo which gets a dunk icon inside, and the fonts of national champion was very creative, as this is a coach ring, so the text on the left side is coach, but for player’s name, it will be their number instead. 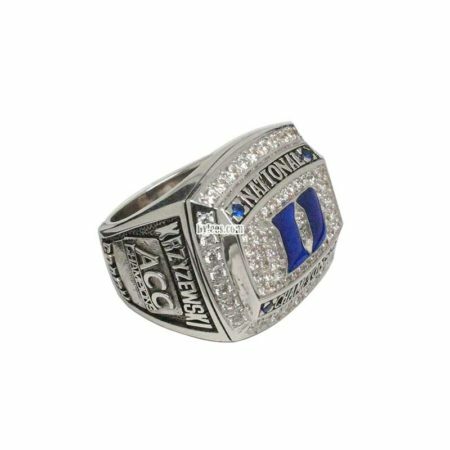 The 2001 Duke basketball national championship ring was secured under the leadship of Shane Battier, who got the two Miami Heat NBA championship rings (2012,2013) ten year later, and Jason “Jay” Williams,whoset a Duke single-season scoring record with 841 points.